For the past few weeks we’ve been making our way through “Alien: Isolation,” and it’s safe to say that aside from “P.T.,” the “Silent Hill” playable trailer, it’s one of the most terrifying gaming experiences you can get your hands on right now. The latest instalment based on the film franchise from Sega and The Creative Assembly, takes place in between the first and second films. You play as Ellen Ripley’s (Sigourney Weaver) daughter Amanda as she navigates aboard an abandoned dark ship in search of clues to her mum’s location. The catch? There’s an alien on board waiting for you. Sega/Alien: IsolationIf you ever get this close to the alien, you’re toast. The other catch? A lot of the ship is shrouded in darkness. Sega/Alien: IsolationCan someone turn on the lights, please? The object of the game isn’t to see how many cool ways you can kill the alien. It’s quite the opposite. We recently spoke with the game’s creative lead and director, Alistair Hope, who explained “Alien: Isolation” is primarily a game of survival. That element leads to many unexpected deaths during gameplay. 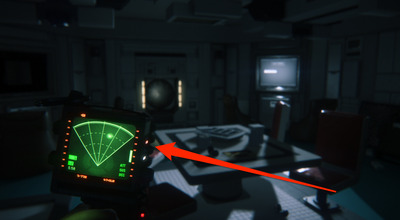 It’s clear a lot of the game’s fun comes from seeing the many different ways in which the alien kills us off in this “hide and seek” fashion. We’ve been playing on the PlayStation 4 where you can heighten the scare factor by using the PlayStation camera. Any sound picked up by the game will help alert an alien to your location. We’re too chicken — but mostly too loud — to try that out just yet. We asked Hope how they came up with the concept. Sega/Alien: Isolation, GIF by Kirsten Acuna/Business InsiderWe found ourselves hiding under desks all the time while playing ‘Alien: Isolation.’ It’s tough to see here, but the alien slinks away into a crawl space in the ceiling. Hope tells us the scares are all part of bringing fans back to Ridley Scott’s 1979 film. “The goal really was to take you back to the experience of that first film and for the first time to really experience what it would be like to confront the alien — that specific alien,” says Hope. “One of the thing things we really wanted to do was to reestablish the alien as this ultimate killer that’s something you should be afraid of and that commands your respect. 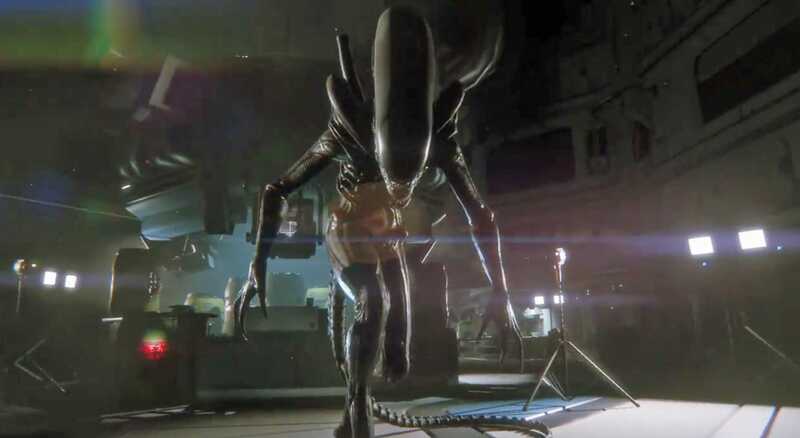 Hope says to accomplish that they couldn’t choreograph every moment with the alien on screen because then players could predict what the alien was going to do next and that wouldn’t make the game that scary. “That also means that because the alien is this dynamic and reactive creature, no two places are the same so every encounter is very much a live encounter,” says Hope. Because of that, Hope tells us the “Alien: Isolation” team has had a kick watching live streams of player’s progress online. “The whole of the studio has been watching people streaming their games because everyone’s taking a different approach to how to survive and it’s massively entertaining,” says Hope. And the gameplay doesn’t just scare us. 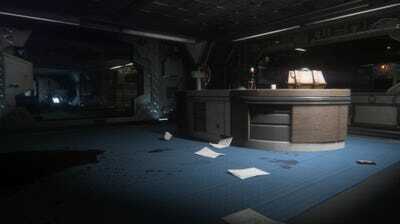 Hope says the creative team behind the game gets just as jumpy trying to avoid the alien in the game. 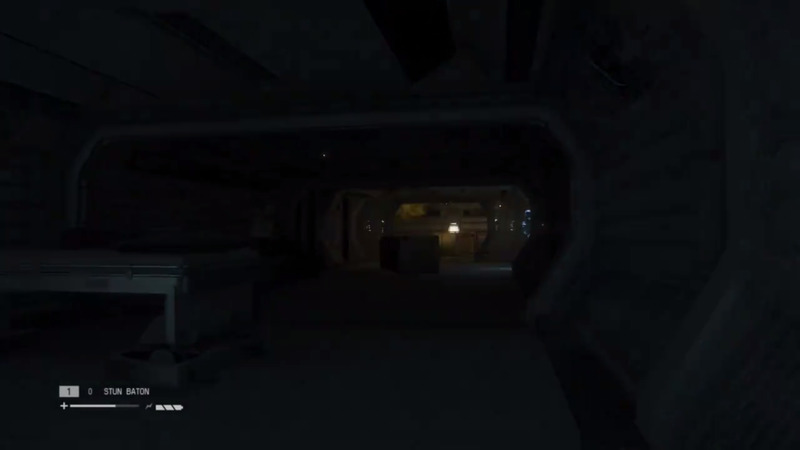 Check out a trailer for “Alien: Isolation” below. The game is available on Xbox 360, Xbox One, PlayStation 3, PlayStation 4, and PC.